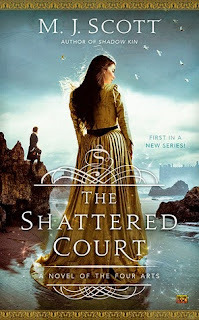 This week, my swoon is from The Shattered Court by M.J. Scott! So instead he did the next best thing he could think of and, after tapping a small thread of power to throw up a ward that might obscure them from vision if he was lucky, leaned forward and kissed her. Sophie gasped but didn't pull away. He kept the pressure gentle, more resting his mouth on hers than truly kissing her, keeping the movements small and soft, nipping at her softly to get her to take what he was offering. I loooooove this book! I read it years ago but decided to reread it recently. This swoon is one of my favorites. 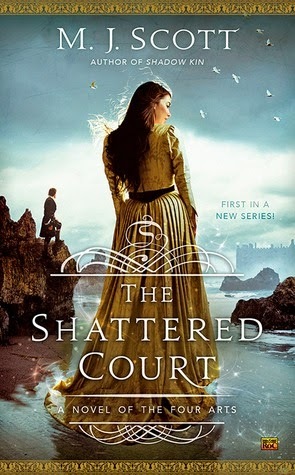 I can't wait to read book three in the series!